After delivering my little Prince Travis to our world, I actually got myself confinement meals instead of engaging a confinement lady. I didn't find the idea of engaging a stranger for a month long inviting especially after hearing so many horror stories from my friends. After talking to fellow new mummies, I realise I am not the only one who actually prefer ordering confinement meals. 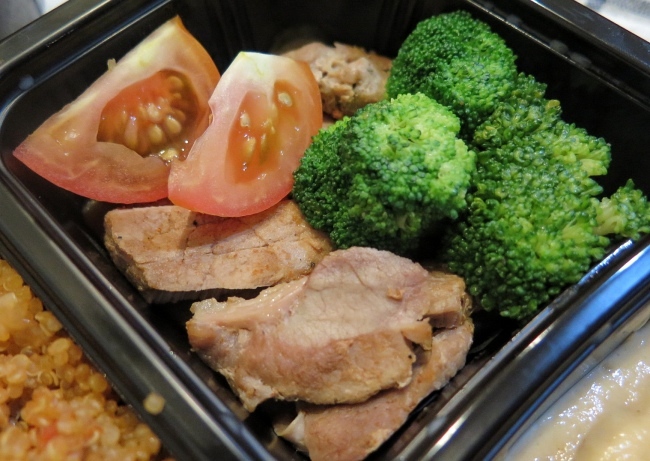 Ordering Confinement Meals is actually getting more popular among many new mummies. Tian Wei Signature Confinement Food Catering (tianweisignature.com) offers a designed by their Head Chef Eugene Tan of creative, healthy and tasty confinement meals with a Japanese or Mediterranean twist. Head Chef Eugene Tan has a started his passion for culinary since the age of 17. You can take a look at their menu here. 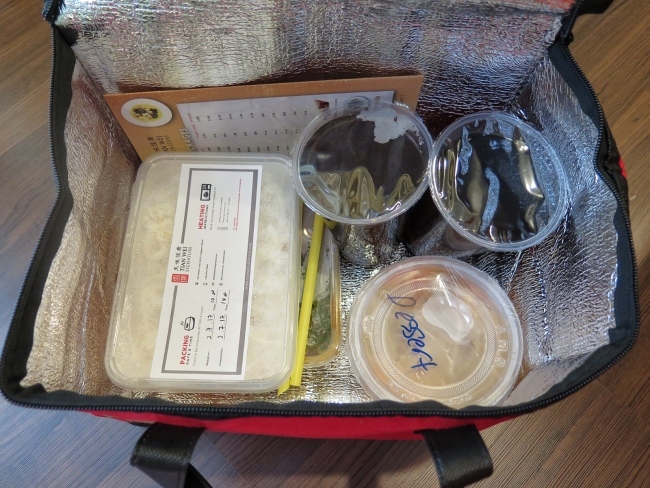 They will deliver lunch from 10am – 1pm and dinner from 4 – 7 pm. The food were warm when they arrived. A Thermal bag is allocated to each customer. You will need to return the thermal bag to their delivery personnel on a daily basis. Their meal comprises of 1 Greens + 1 Meat (Chicken/ Pork/ Fish) + 1 Litre of Red Date Tea + 1 Staple + 1 Soup/Dessert. You can make special requests like No Broccoli/ Kai Lan/ Snow Peas/ Spinach/ Fish Maw/ Pork/ Liver/ Kidney/ Trotter/ Vingear/ Hong Zhao Chicken. Some people don't take chicken and egg for the first 2 weeks as they believe that it may not be good for the healing of wounds. Their dishes are generally not too oily or salty. Their longan red date tea is also not overly sweet. Just right for me and family! 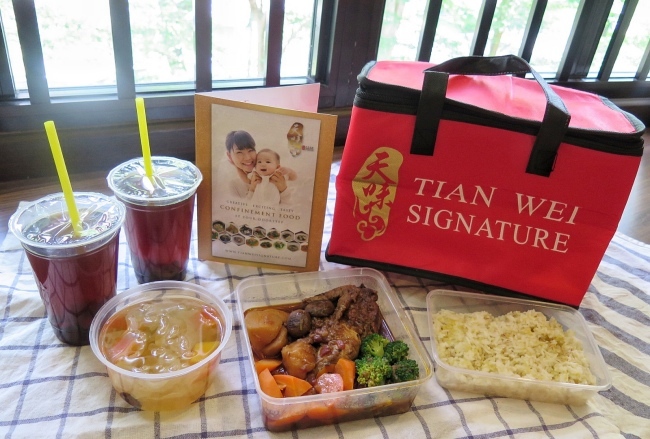 Many thanks to Tian Wei Signature for sending the trial meals for my review. 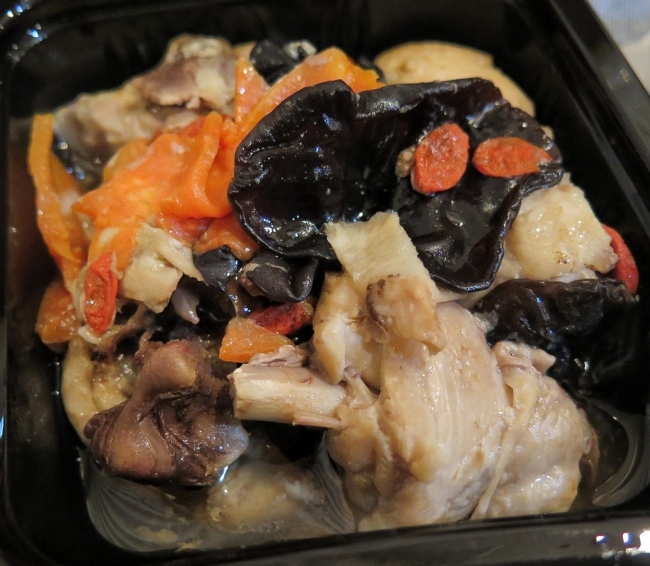 Tian Wei Signature COQ Au Vin (天味招牌法式红酒炖鸡). 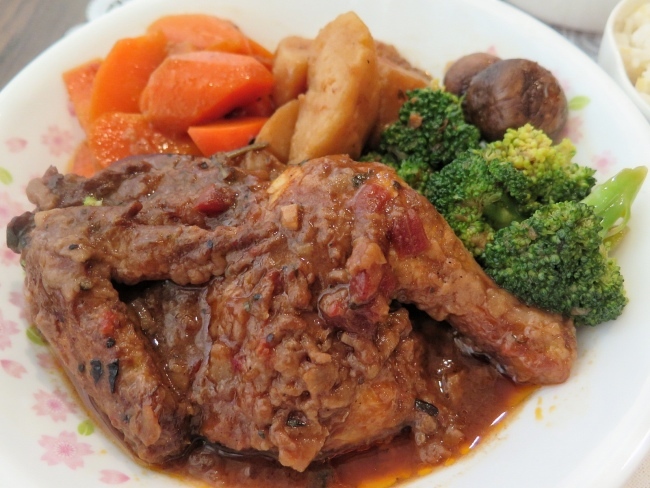 Coq au vin is a French dish of chicken braised with wine. Tender Flavorful Chicken Dish with hints of red wine. Confinement Food with Mediterranean style. Ladies who can't stand eating a month of traditional confinement food will find this refreshing. Antioxidants in red wine grapes' skins have beneficial effects in women. 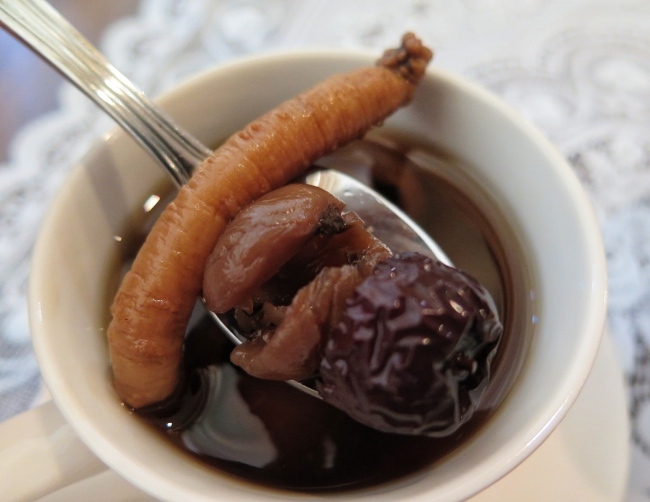 Don't I love red wine!~ Haha Not forgetting the Papaya White Fungus Dessert (炖木瓜雪耳) Not too sweet. Nice ending to a meal. 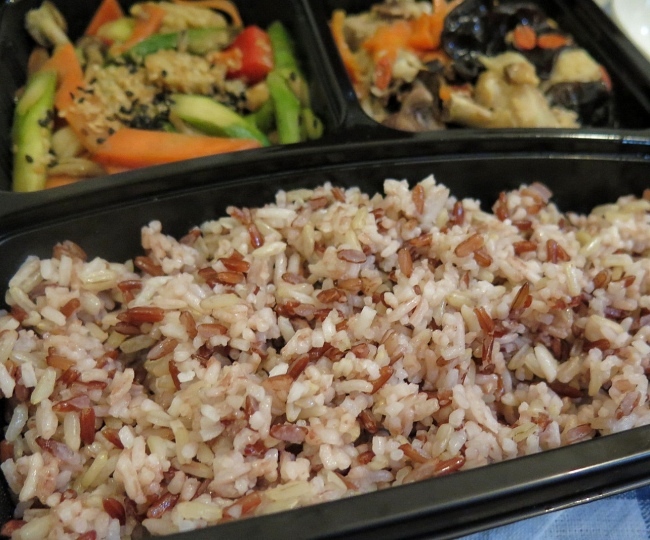 They also serve Healthy Barley Millet Rice (薏米小米饭). Millet is full of nutrients like Vitamin B, calcium, and iron. They also include 2 big cups of Red Date Tea (A total of 1 litre). I get to try bite size of their signature dishes like the Sesame Braised Chicken, Kurobuta Pork Loin with Apple Mirin Sauce, and Seared Salmon with Cauliflower puree with Quinoa Salsa. 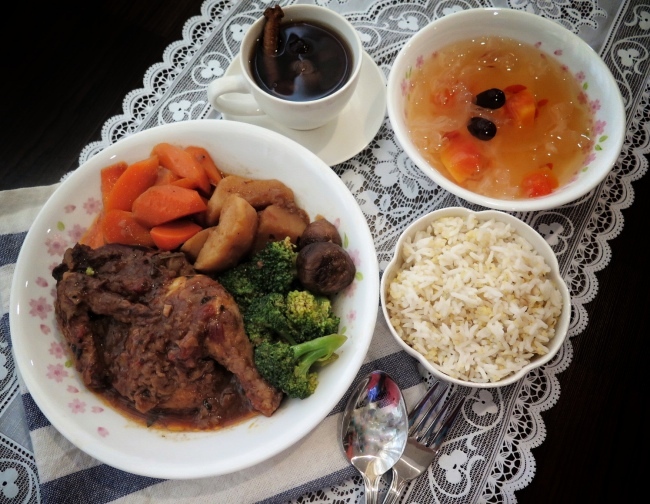 Traditional-style Confinement Meal - Sesame Braised Chicken (麻油鸡): This dish helps to prevent ‘wind’ in the body and provide nourishment by improving blood circulation and building up vitality. Japanese-style Confinement Meal - Kurobuta Pork Loin with Apple Mirin Sauce: A refreshing change from the traditional confinement meal. I understand that Pork Loin naturally contains “Conjugated Linoleic Acid” (CLA) which may help to improve heart health and prevent cancer. I would prefer it to be more tender. I like it that they have paired it with Apple Mirin Sauce. Apples are filled with rich important anti-oxidants, flavonoids, and dietary fibres. The sweetness of the sauce complement well with the pork slices. 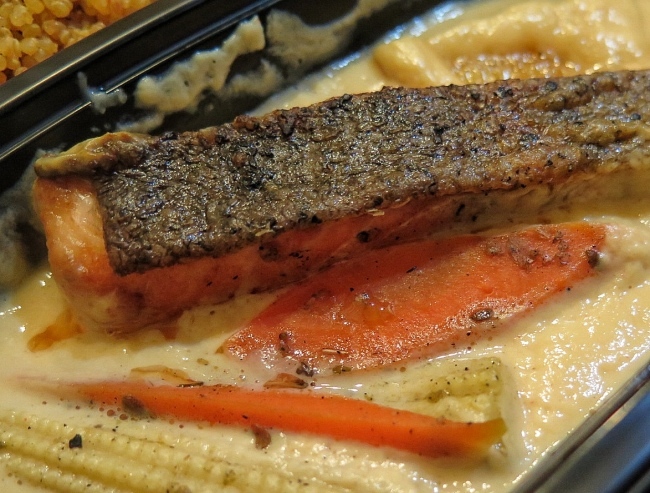 Mediterranean-style Confinement Meal - Seared Salmon with Cauliflower puree with Quinoa Salsa: Salmon fish is always my favourite as it has multivitamins, amino acids and fatty acids like Omega-3. The Cauliflower puree is very smooth till I thought it was mashed potato. 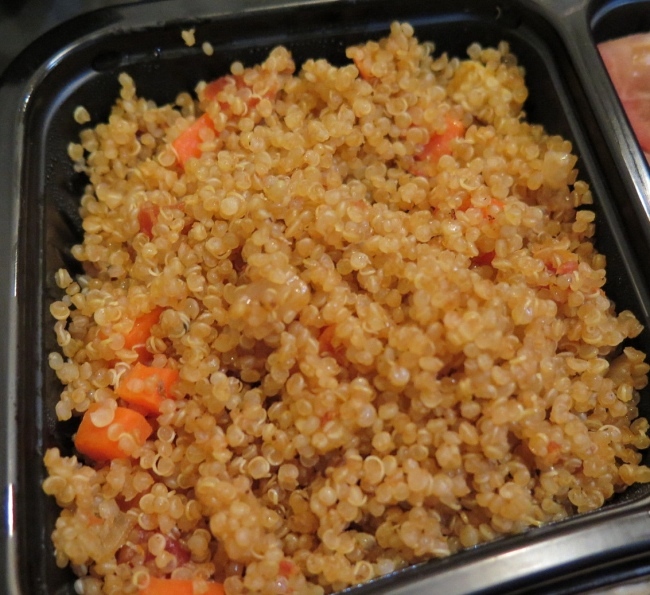 Quinoa is a good main ingredient as it has anti-inflammatory, anti-viral, anti-cancer and anti-depressant properties. It is an acquired taste to some. I heard if it is not well-prepared, there may be a bitter taste. I am glad that theirs does not have any bitterness in it. Green Papaya Fish Soup - I love their this fish soup. 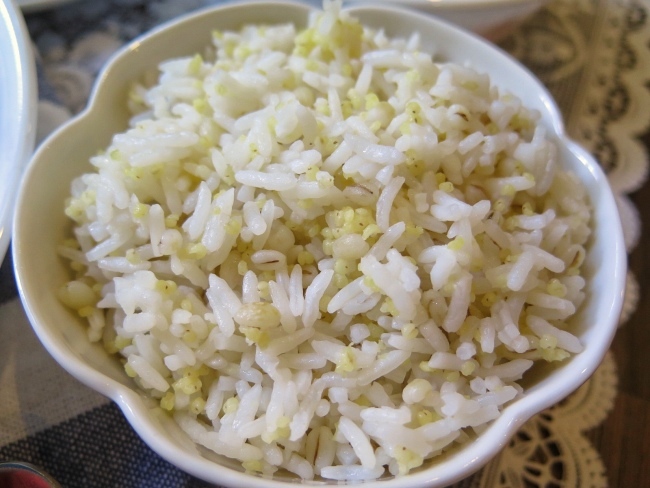 It is nutritious and tasty and does not have any fishy smell. 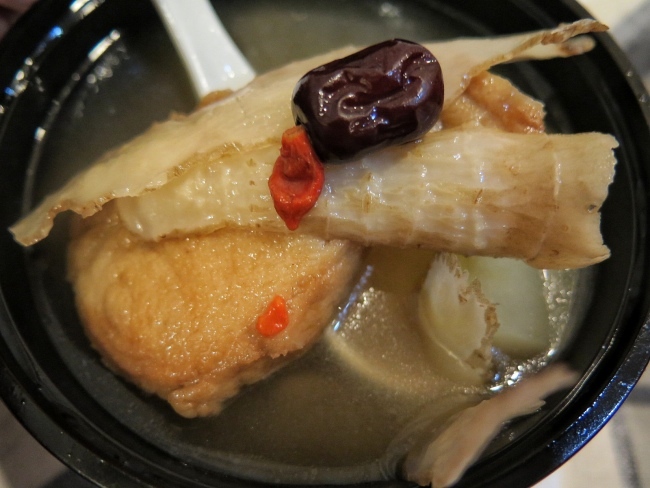 They also use Thread fin Fish which is known to reduce bad cholesterol and increase good cholesterol levels. Green papaya is definitely very important during breastfeeding. Papaya helps to speed up recovery from childbirth and simultaneously regulates the milk supply. It is also a great source of essential vitamins and minerals. Hence, it is always highly recommended for nursing mothers. Papaya is also a super food that can boost not only the quantity but also quality of your breast milk. 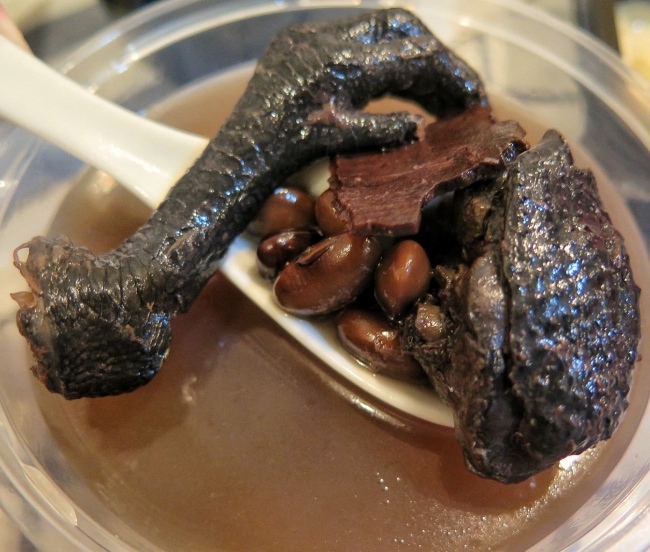 Black Chicken Soup - Black Chicken is a super food which is packed with antioxidants. It helps to nourish the blood, increase black hair, tonify liver and kidney, and the capability of anti-aging. 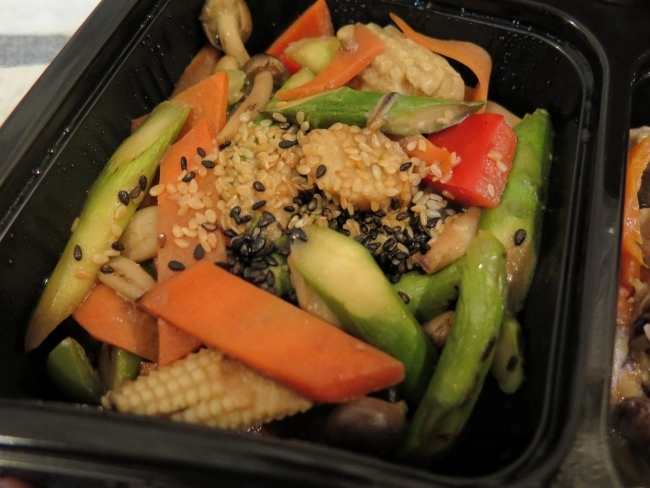 Ordering confinement meals is a great choice if you do not intend to hire a confinement lady. It save my family a lot of effort of cooking and cleaning. 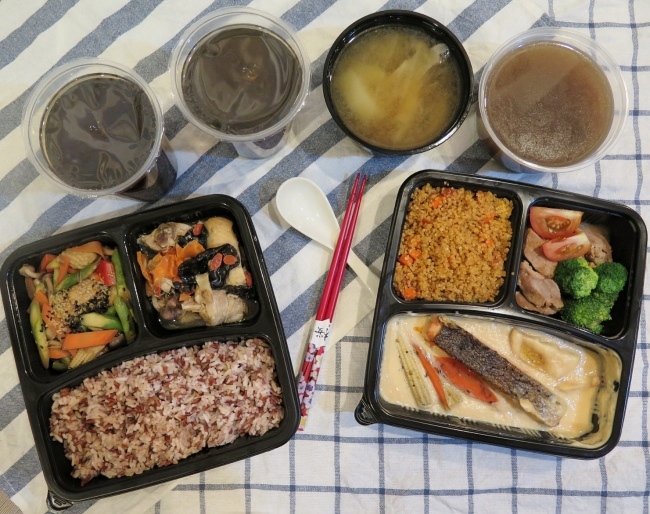 The confinement meals by Tian Wei Signature Catering are creative, delicious and nutritious. 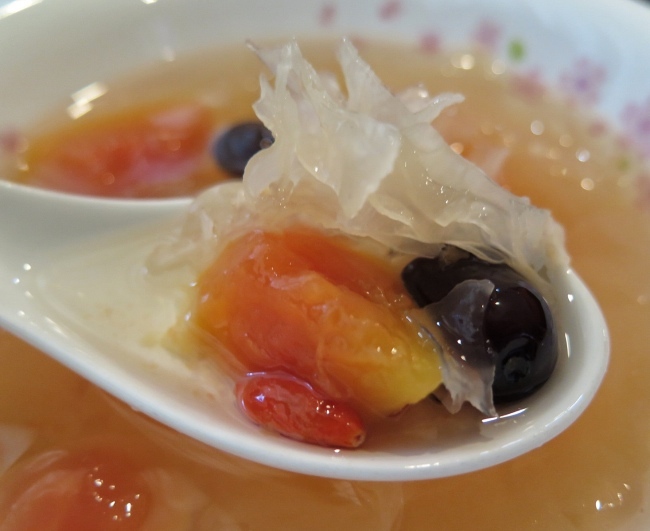 I especially enjoyed the green papaya fish soup, Papaya White Fungus Dessert and Coq au vin. It is especially great for ladies that are not able to accept eating traditional confinement food for the entire confinement period. Their menu definitely offers a lot of refreshing meals with Mediterranean and Japanese twist.